Organic Dog Food: Is it Better For Your Dog? Organic Dog Food: Is it a Better Choice for Your Dog's Diet? Organic dog food has gained a significant following in recent years, as people become more health conscious and worry what they are putting into theirs and their dog’s bodies. Organic, simply by its name suggests a healthier alternative to foods grown with pesticides, artificial fertilizers or other chemicals. In the US, any dog food that carries the USDA Organic 'Seal' must meet certain specific standards - the same government criteria is used both for human and pet foods. These requirements include both the farming process and the food products must meet the standards of the National Organic Program, administered by the USDA. Organic livestock feed and supplements must be used for animals. No use of antibiotics, prohibited medications, growth hormones or animal byproducts in food animals. However, the AAFCO has defined it somewhat in their “Guidelines for Natural Claims” for pet foods. Natural usually refers to food that does not have any artificial flavors, artificial colors, or artificial preservatives. This doesn’t include vitamins, minerals, or any trace elements. The term natural does not indicate the quality of the food, nor does it refer to how the food is processed. For most dry foods, some form of preservative must be used. A natural source found in many natural foods is mixed tocopherols (a source of Vitamin E). 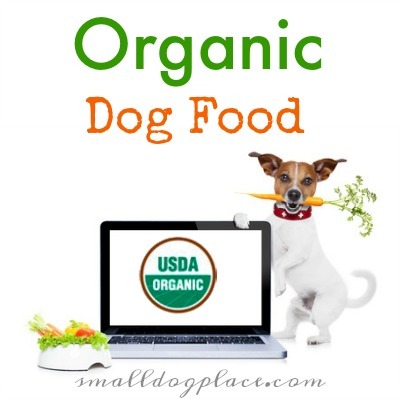 Organic dog foods, even though they may not contain any artificial colors, flavors, or preservatives have additional standards that refer to the conditions under which the plants are grown, or the animals raised. Not all foods that carry the “organic” claim are equal. There are degrees to which food can be organic, and the product label must reflect these differences. 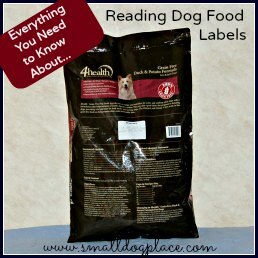 The best way to evaluate just how "organic" an organic dog food is, you must first look at the package labels. There are four USDA classifications where you will see the word organic on the package. 100% Organic Label: If a dog food manufacturer wants this label on their food, the food must contain 100% organically produced ingredients, not including water and salt. Organic Label: If you see this term on the label, at least 95% of the ingredients, not counting the salt or water is organic. Organic ingredients can be labeled as such, or you might find an asterisk or another reference mark which is defined below the ingredient list. 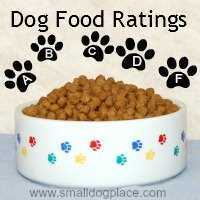 "Made With Organic Ingredients: is a third category most commonly seen on dog food labels. This means that at least 70% of the ingredients must meet the organic standard. Organic in the Ingredients list: If the food does not contain at least 70% organic ingredients, they cannot use the name organic or the USDA “organic seal.” The manufacturer, however, can show that some of the ingredients are organic, by identifying them in the ingredients list. Is Organic Dog Food Better for Your Dog? Organic dog food is produced without artificial fertilizers and pesticides. Crops are grown from seeds that have not been genetically modified. Meat is from animals that have not been given antibiotics, growth hormones, or other questionable substances. In this regard, organic is better because it does away with so many of the substances that can harm both our pet and ourselves. The term, organic, though does not indicate a quality ingredient per sec. If the food is made up of 95% organic corn, wheat or soy with little animal protein, it may be organic, but it is not a healthy choice for your dog. There is plenty of anecdotal evidence floating around out there concerning the health benefits of going organic with your pet. Claims of weight loss, elimination of allergies, prevention of disease and longevity abound on the internet. 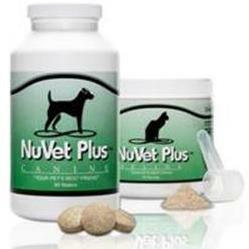 Better digestion and prevention of diarrhea and vomiting is another claim. Is there any scientific evidence for these claims? 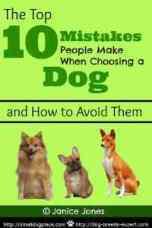 As of this writing, there is little or no scientific studies that support the notion that organically is better for your dog. With that said, companies that go to the trouble to source organic ingredients for their dog food formulas are more conscientious in my mind than those that purchase cheap, mass produced items. Look at the list of ingredients before making a decision. Some organic foods are excellent and do promote the overall health of your dog. But, just because the label says “organic” does not make them any better than other choices. The first five to seven ingredients on a food label is very telling. Look for the first source of fat such as chicken fat and then view the ingredients listed before it. Here are three examples of organic dog foods. Their ingredients are listed in order up to the fat source as mentioned above. In these three foods, the first ingredients are excellent and would make a good choice whether or not the ingredients were organically grown or produced. Talk it over with your veterinarian and formulate a real reason to go organic before you plunge ahead.